For quite a few years, I didn't make Christmas projects, the main reason being that we were always away visiting family at that time. They were our annual holidays so we were usually away for four or five weeks. We left home in early December so there was absolutely no point in decorating the house, with no-one there to enjoy it. In the last few years, our circumstances have changed and now every second year, our family comes to visit us. So there is every reason now for me to get into the Christmas groove! 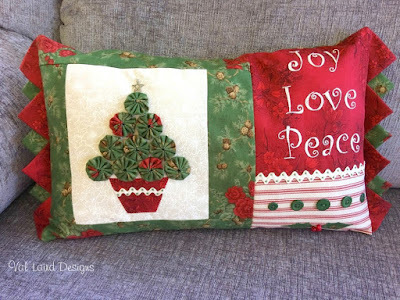 I have enjoyed making some lovely Christmas projects, and my latest one is a pretty cushion which I have called "Peace and Joy". 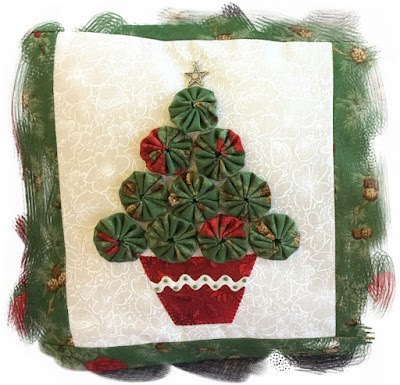 I have put the pattern in my Craftsy Store and you can buy it here. 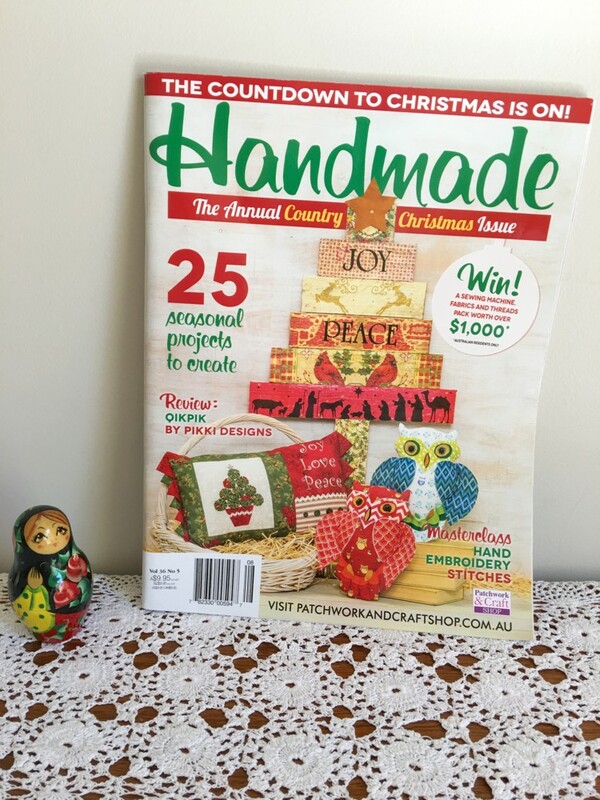 It also recently appeared in the Handmade magazine (and graced the cover! ), Vol 36 No 5. I have just completed a sweet quilt for a magazine and have spent a few waking hours in the middle of the night thinking about another commissioned quilt I have to prepare! I'm not concerned at all about it, it just requires lots of thought about how I will tackle the complex elements in it. It would be OK if there was just one way to do it, but I am trying to determine out of the three or four methods that I could try, which one will give the best results without taking an inordinate amount of time and without causing insanity through frustration and difficulty - both for me and the quilting public who hopefully will make it! Meanwhile this week I need to prepare for my last Craft Stall for the year. It's an unknown quantity for me as it is a Community Car-boot stall run by the Lions Club, Australia's largest Community Service organisation. I have never had a stall there before and I'm hoping the 5.40 am start will be worth it!!! 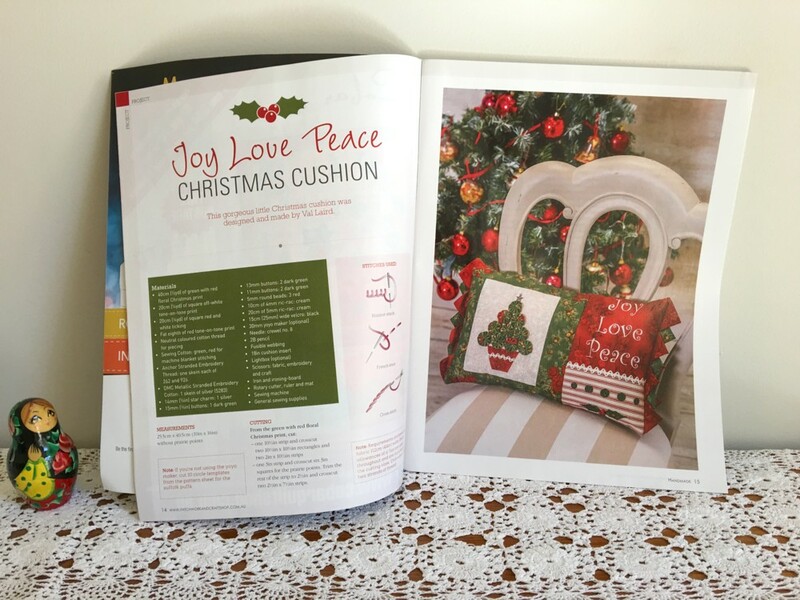 May you know many blessings as you too think about Christmas! Lovely cushion cover, Val, and the yo-yo Christmas tree is so cute.